If you regularly drink coffee or tea, you must have faced some extent of teeth staining. Due to age, health condition, diet, oral habits- our teeth start to stain. 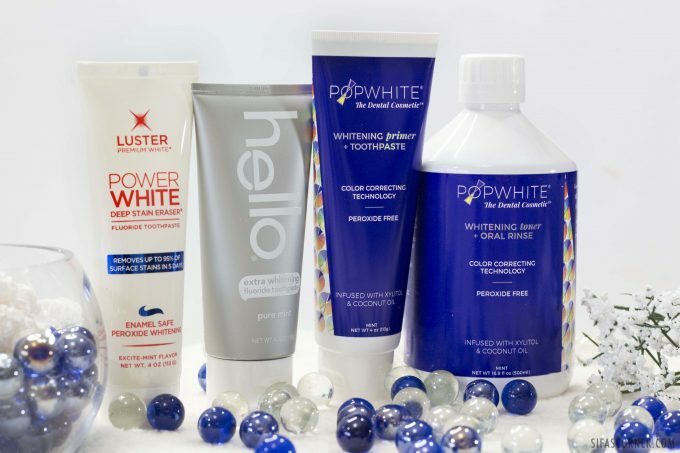 Before it gets out of hands, you can prevent it by using teeth whitening products and maintaining a good oral habit. If you ask me, I dwell on coffee and tea- big time! The boost of caffeine creates an effect where it feels like my chronic pain gets somewhat tolerable. I know it sounds like a caffeine addiction. Though the hot cup of coffee works wonderfully, the stain it leaves over time doesn’t work at all. So to take out the stain I use teeth whitening toothpaste and mouthwashes. The following 4 products are the ones which have worked well for me. The first tip any dentist will give you is to cut off cola, coffee, tea, too much citrus fruit, alcohol and cigarettes. As an avid tea-coffee drinker, I can’t cut it off and go cold turkey, which brings us to the next 2 tips. Use a straw for your coffee or tea. Apart from brushing-flossing twice daily, brush after you take tea or coffee. If that’s not possible, use plain water to rinse your mouth very well. Add more crunchy fruit and vegetable to your diet. 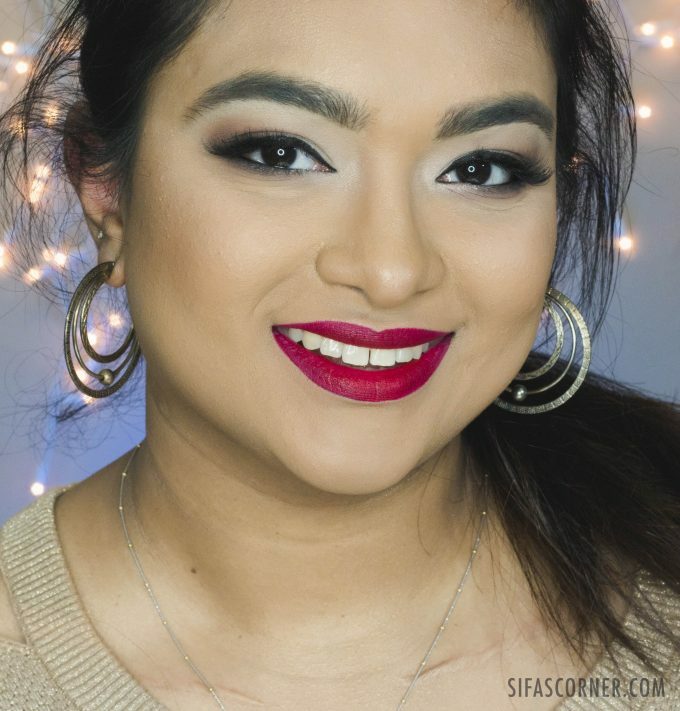 Avoid orange based lip colors and go for blue based ones, like this blue-based red lip color I am wearing here. 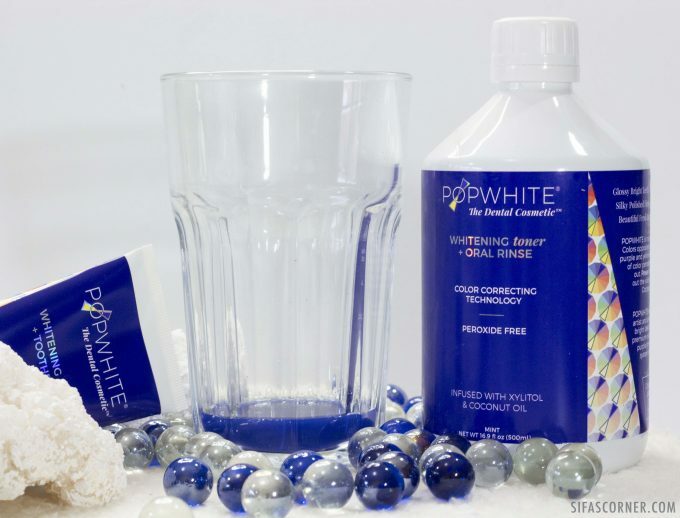 Teeth whitening pastes or mouthwashes usually have a mild abrasive such as baking soda that removes the stains. 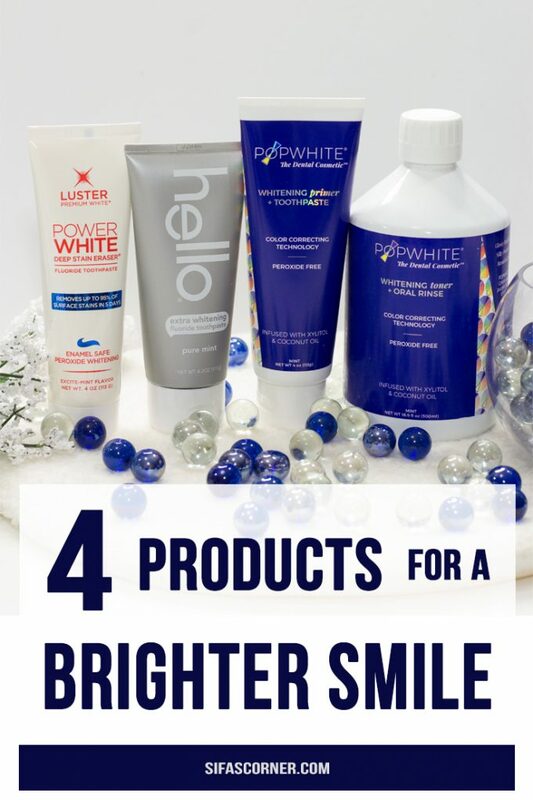 With consistent use, they can help lessen stains and yellowing of teeth. Here is a comparison picture before using any kind of whitening toothpastes. The second picture was taken after 7 days of following the above tips along with a whitening toothpaste. 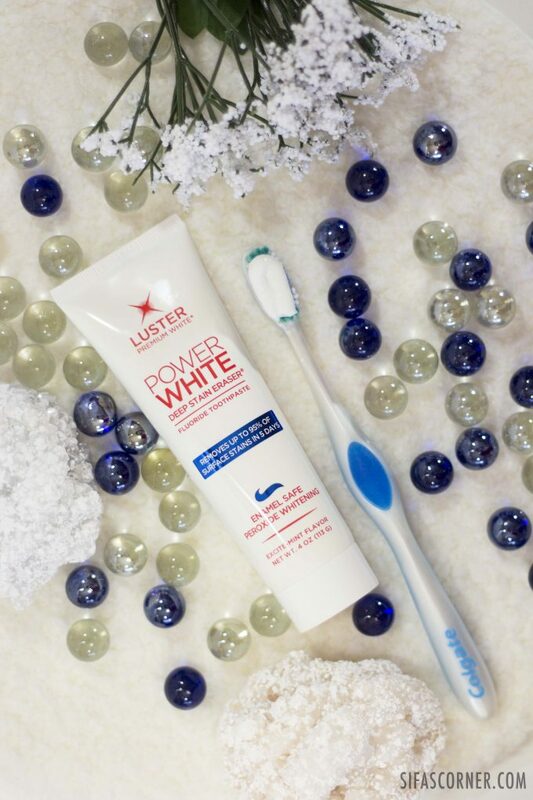 This toothpaste claims to remove up to 95% of surface stains in just 5 days. Though I didn’t have any huge surface stain, to begin with, just after the first wash, I could feel a smoother teeth surface which looked a bit brighter. When I use this, I do not use it every day, rather I use it 3-4 times a week. The only downside of this product is the flavor. It has peroxide as the main whitening agent. So it leaves a weird flavor in your mouth which is noticeable for first-time users. Price: $6.99, Found online here. 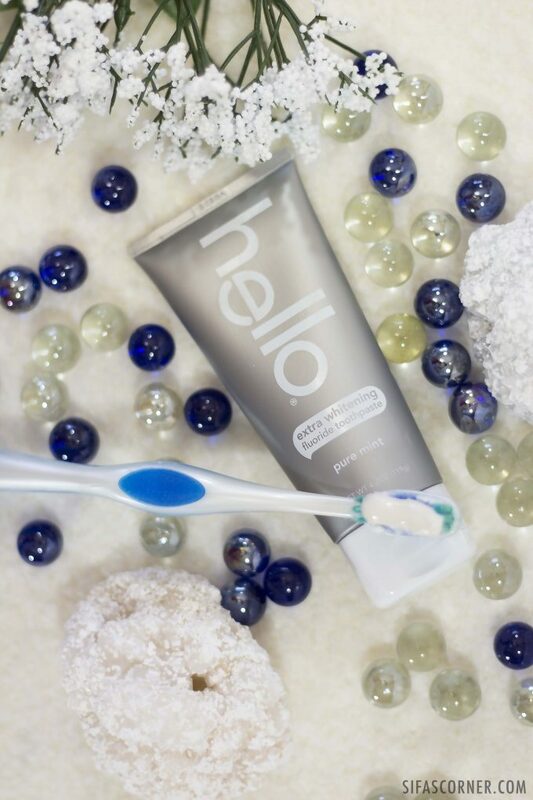 With a minty flavor, this product works towards both tooth sensitivity and staining. I feel like this is a good everyday-use toothpaste. Price: $4.99, Found online here. You’ve obviously heard about color-correcting techniques when it comes to hair and makeup (purple shampoo neutralizes brassiness in blond hair). 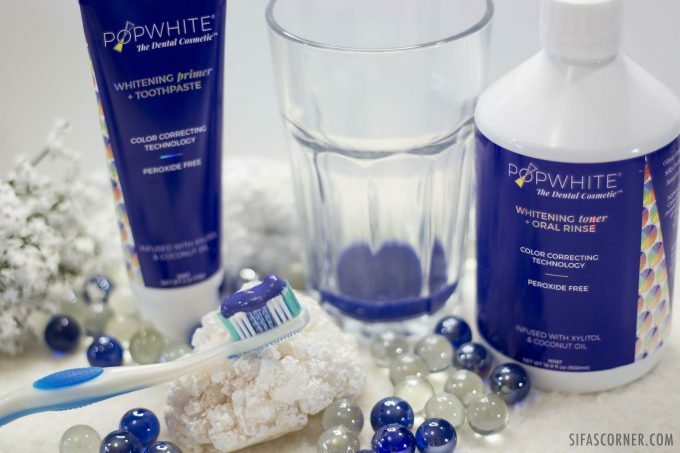 Popwhite uses the same technology to correct yellow stain on the teeth. 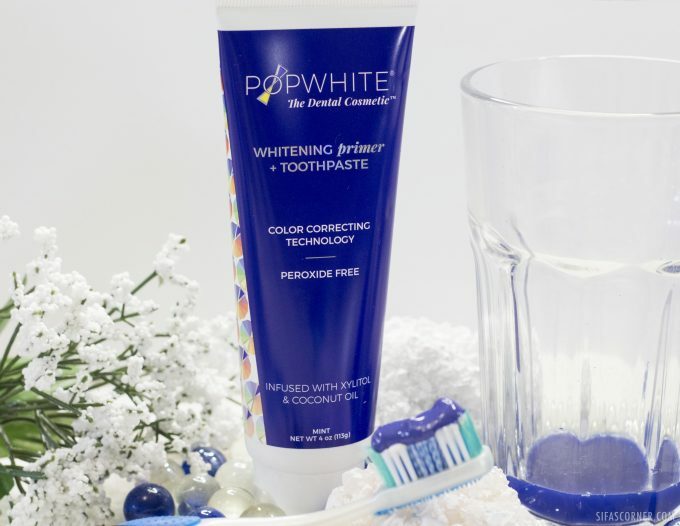 Popwhite’s peroxide-free Primer (toothpaste) and Toner (oral rinse) whiten, brighten, polish and clean teeth while freshening breath with peppermint oil, Xylitol and Coconut Oil. These products are vegetarian, cruelty-free. Available for $24 each ($36 for both), can be found online here. These products work on minor “outer surface” stain, caused by diet or oral habit. If you are pregnant, ask your doctor before using any kind of teeth-whitening products. Do not use these products on children under 12 years. 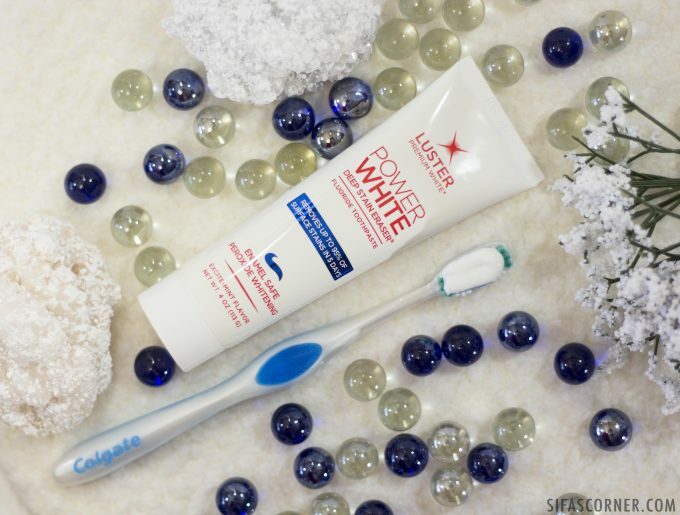 So what do you use to whiten your teeth? Share with us below. Pin the images to save for later!